Firstly, remember that our buddy Yeager is still in training at Tops Kennel and is still looking for that perfect forever family! You can check out all of the videos of his progress (and boy, has he come a long way in just a few short weeks!) on the Orphans of the Storm® Facebook page. Secondly, Keith Sanderson (sidekick of Orphans of the Storm® alum Max A Pooch, who you might recall from our Success Stories) just interviewed Julie Adams, co-founder of Chicago Cat Rescue, about Black Cat/Dog Syndrome. I’ve written about Black Dog Syndrome a number of times, and there are still plenty of black dogs at Orphans of the Storm® wondering why they keep getting passed up. Benny, Blackie, Blush, Max, Ryla, and Saber are all great choices! Thirdly, time to meet more pooches! 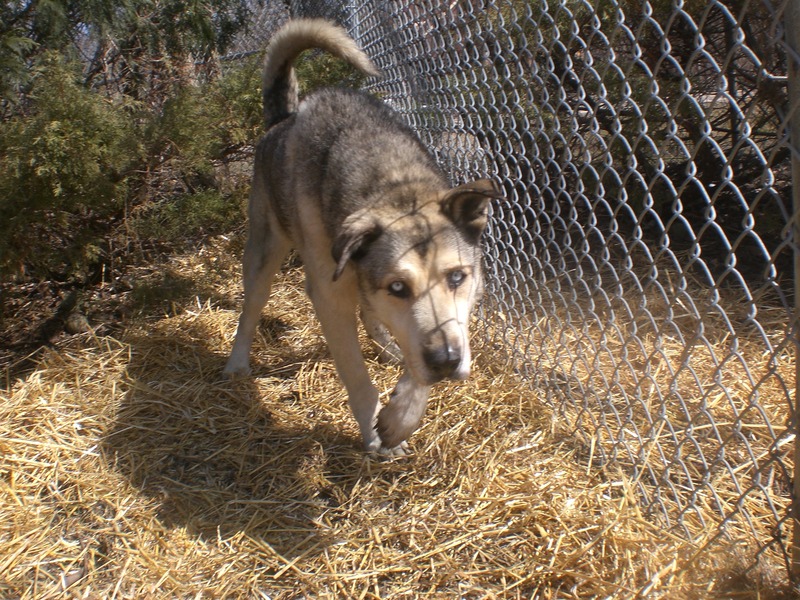 Ollie the six-year-old Husky mix is one of the calmest, gentlest dogs I’ve met at Orphans of the Storm®. Usually the Husky mixes I take out want to go sprinting off right away, but Ollie walked calmly by my side all the way to the off-leash run. Even once he was off-leash, he was more of a meander-er than a runner. 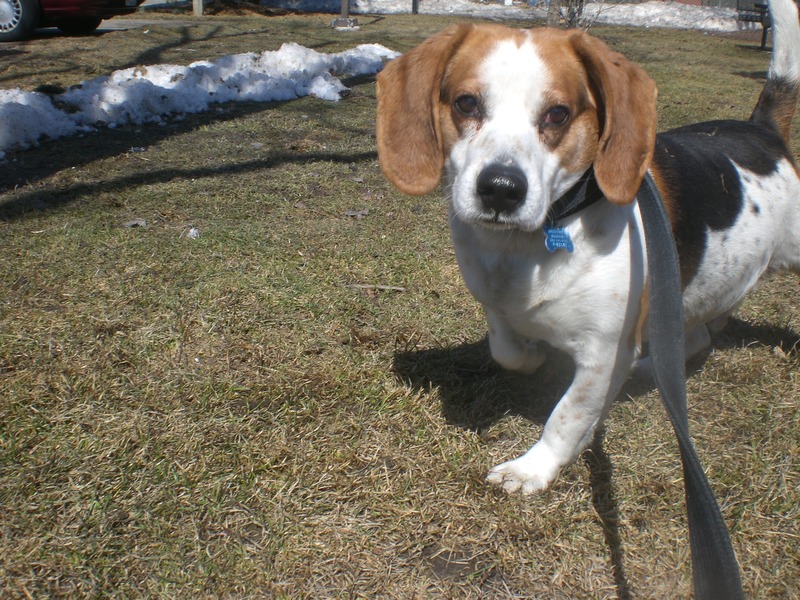 If you’re looking for a walking companion, Ollie should definitely be on your list. 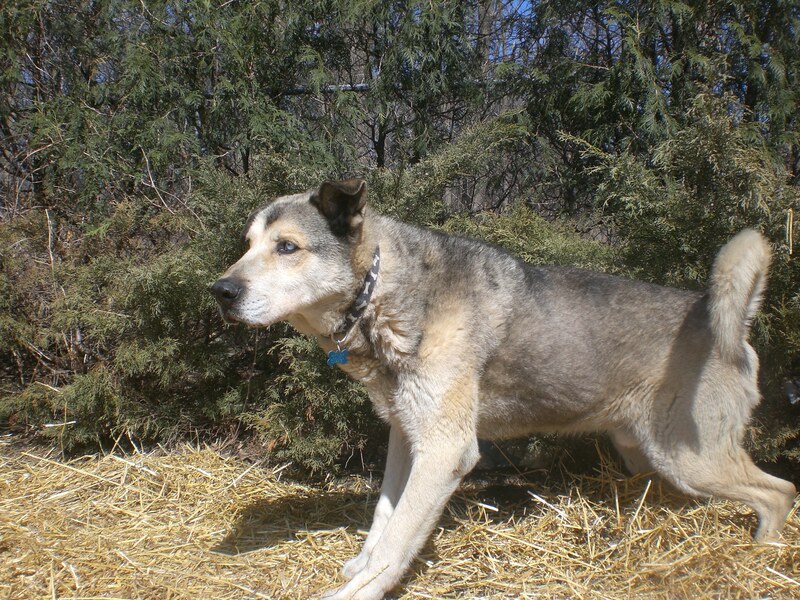 Ollie, like most of the Husky mixes I’ve met at the shelter, was a little aloof when we first started out. But (like most of the Husky mixes I’ve met at the shelter) after a few minutes, he was coming up to me to get a nice scratch on the chin and back. It’s so important to give these dogs a chance–they see strangers coming and going every day, so you can’t blame them for not always cuddling up to you immediately. Once Ollie knows you, though, you’ll have a very loyal companion. And, of course, I couldn’t write about Ollie without mentioning his stunning blue eyes! Come in soon to get to know Ollie. 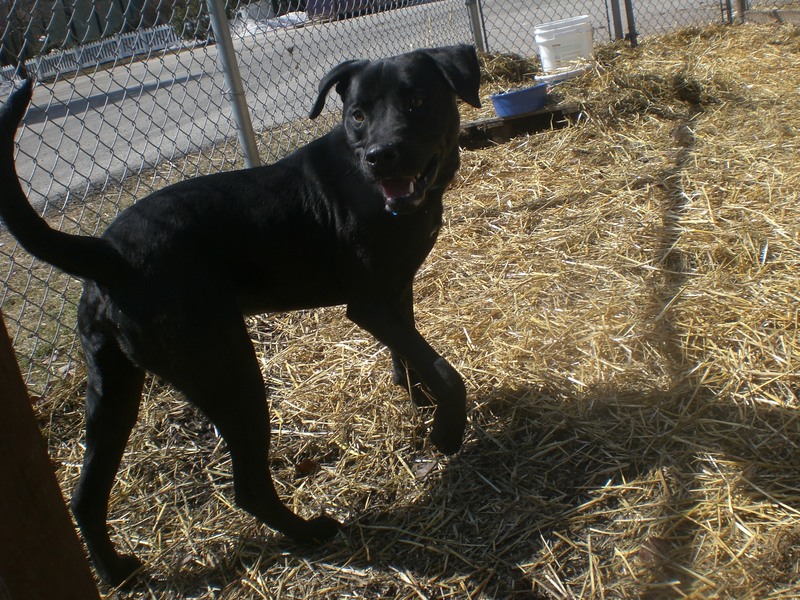 Buddy the one-year-old black Labrador Retriever mix is definitely still in his puppy phase. This little guy thinks that everything is a game (which is perfect for when his future owner starts training him!). It took us a little bit to get situated because he wanted to play tug-of-war with the leash, but once we got walking he let it go and we hurried over to the off-leash run so he could burn off that puppy energy. Buddy hasn’t fully grasped the concept of “fetch” yet, but he’s certainly willing to learn. He loved chasing the tennis ball around, but wasn’t so sure about bringing it back to me. After he dropped it, though, he was happy to have me pick it back up and throw it again–no signs of being possessive. Buddy also loves to give doggy hugs. All he really wants is to be spoiled with love and attention. 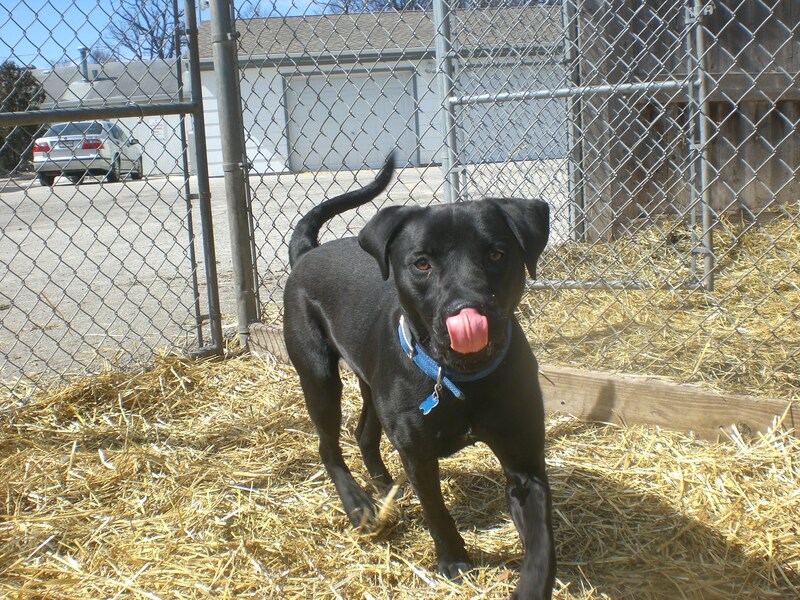 Don’t let Black Dog Syndrome keep him at the shelter for too long! If you’re looking for a fun, playful pup, come in soon to meet Buddy. Barney the seven-year-old Beagle mix is just too precious. He seems a little sad inside his kennel but once you have him out on a leash, that little tail of his does not stop wagging! Barney walks pretty well on the leash and could certainly use some more exercise, judging by the size of his tummy (cute as that round tummy may be). Barney is currently sharing his kennel with another dog, so he could go to a home with or without another doggy friend. Barney is super affectionate. As soon as I knelt down next to him, he put his little front paws on my leg and covered my face in doggy kisses. I was just about ready to scoop him up and take him home with me! Barney isn’t as bark-y as some Hounds are known to be, which is a plus. And he just has the cutest little face. This sweet, happy boy would bring so much joy to his new family. Stop by the shelter soon to meet Barney! I also saw my furry friends Ebbie, Emerald, Honey Lamb, Javan, Molly (who is still the best fetch-player at the shelter, by far), and Zeus. 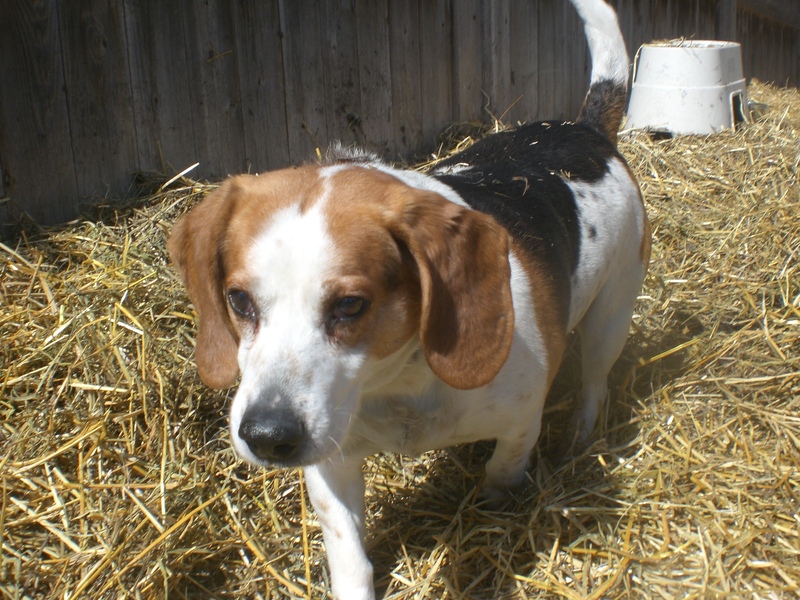 Posted by Meet the Pooches on March 27, 2014 in Dog Profiles and tagged adoption, animal shelter, animals, Beagle, Chicago, dogs, Husky, Labrador Retriever, Orphans of the Storm, pets.